In lieu of flowers, and in keeping Rob's wishes, celebrate the holidays with your family and friends. All who knew Robert “Rob” Friedrich would agree that there was no one quite like him. He worked hard and accomplished so much of which to be proud, but there was no greater joy in his life than being surrounded by his family and friends. Blessed to share much of his life with his true love, Rob was so blessed to become a father and grandfather later in life. He faced trials, but his strength, courage, and determination were such an inspiration. Life will never be the same without Rob here, but he leaves behind a timeless legacy that his loved ones will proudly carry on in his footsteps. With the end of World War II in 1945, America was making the shift to being a nation at peace once again. Rationing had become a thing of the past, and manufacturing was no longer focused on supporting the war effort. With the explosion of the baby boom, home construction was also on the rise. 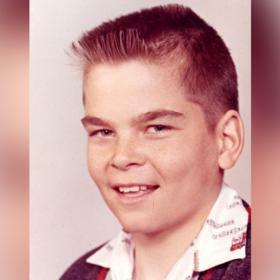 Amidst this time of transition was a time of great joy in the lives of Robert Hugo and Vivian Avis (Soules) Friedrich as they announced the birth of the baby boy they named Robert Charles on July 9, 1948 in Grand Rapids, Michigan. 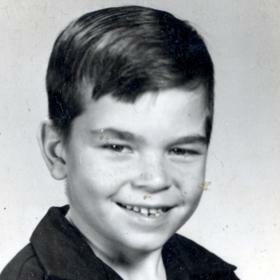 The second of three children, he was raised in the family home on Fifth Street on the West Side alongside his older sister, Nancy, and his younger sister, Laurie. Rob's father was a tool and die maker for General Motors while his mother was a homemaker. When he was a bit older, his family moved to 1109 Barber Terrace, NW. From the time he was a young boy, Rob was one to keep busy. He was an avid sportsman who enjoyed both hunting and fishing. He would often be found playing with his childhood friend, Bob VanStee. As a student Rob attended Oakleigh Elementary and went on to Union High School, where he played football under Coach Milo Sukup. In addition to holding down his studies, Rob worked as a clerk at Meijer. 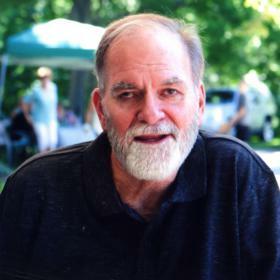 After graduating from high school in 1966, Rob spent two years at Grand Rapids Junior College. From there he spent two years at Grand Valley State College, earning his teaching degree. With his education behind him, Rob spent 10 years working at East Kentwood High School, as the supervisor of the night school program. Rob also provided for his family as a salesman first at Kent Beverage. Then later, he worked for Rave Wines Company, and finally for General Wine and Liquor. Due to his increased health struggles, Rob retired in 2003. New and exciting changes were in store for Rob when he met the woman of his dreams. Her name was Dori Welke, and although they were both from Grand Rapids they met while on spring break in Florida. Back at home they began dating, and their first date was to see Bill Cosby at the Civic Auditorium in April of 1969. He and Dori enjoyed summer canoe trips on the Pere Marquette, Manistee, and Pine Rivers. They continued dating and soon found themselves deeply in love. With a desire to spend the rest of their lives together, Rob and Dori were married on June 14, 1974, at Immaculate Heart of Mary Catholic Church with a reception following at the Boat and Canoe Club. After a honeymoon spent in the Upper Peninsula, the newlyweds returned home and lived at 1410 Johnston in Grand Rapids. In 1976 they moved to 3951 Hall Street, and this is where they raised their two daughters, Heidi and Robyn. Rob was an active father, and he loved seeing his daughters grow up. He and Dori were present for school and sporting events, and he could often be found out shooting hoops on the driveway with them. Summer days were spent in the backyard pool, and during the winter they loved snowmobiling. They also had a family cottage, and this is where some of their favorite family memories were made as there was plenty of swimming, boating, fishing, campfires and just relaxing. There were also fun-filled trips to Disney World. The family always had dogs as additional members of their family, usually English Setters and now a Golden Retriever. Throughout his life Rob was one to keep busy. 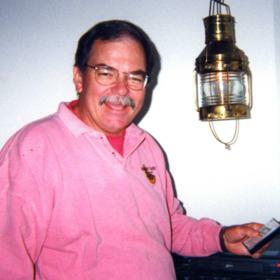 He was an avid sports fan who love to follow the Detroit Lions, Pistons, and Red Wings. Together Rob and Dori loved to entertain on the weekends, and they often had family and friends over. There were some great conversations and lots of laughs around their small fire pit on the driveway, and they often attracted neighbors who would just stop by for a drink. Rob loved all the craft beers, primarily the dark stouts. 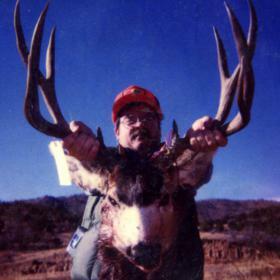 A lifelong outdoorsman, Rob loved his big game hunting including mule deer out west, elk, white tail deer, caribou, and more. Holidays usually found them gathering with family, and Rob took many home movies with his video camcorder. When he was in his 30’s, Rob started with some health problems. He was diagnosed with diabetes and although it was mild in the beginning, it became increasingly more severe throughout his life. Diabetes eventually limited his activity, including walking and then losing his eyesight. All the while, Dori and his girls were at his side to help him in anyway they could. Rob suffered many complications from his diabetes, and he was so grateful that his daughter, Robyn, donated her kidney to him when he was in need.  Most recently, Rob had both heart and gastrointestinal issues. Devoted, hardworking, and fun-loving are just a few of the words that describe Robert Friedrich. He was an amazing husband, father, grandfather, brother, and friend who was always there for others in whatever way he could. Rob had a great respect for the outdoors, and he made the most of every day he was given. Deeply loved, he will be forever missed, but live on in the hearts of his loved ones.